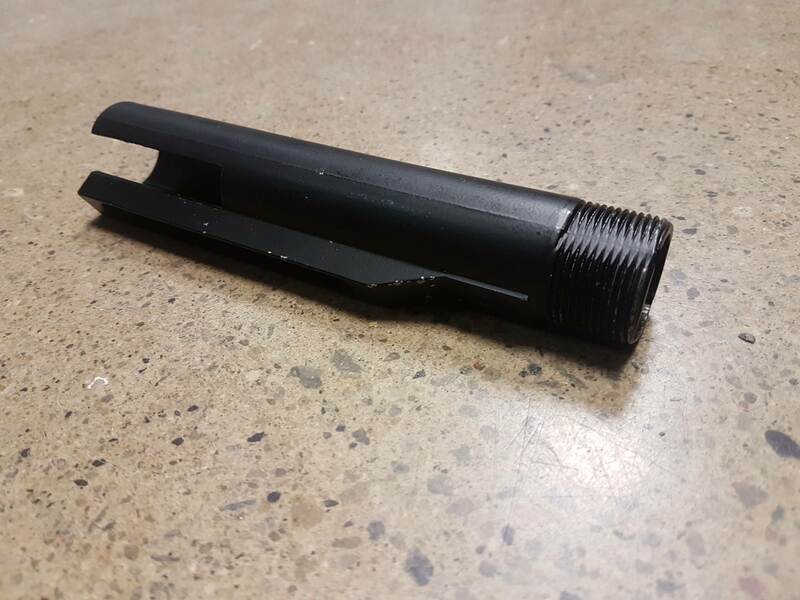 This is a clearance replacement part for an M4 AEG Metal Cutout Buffertube . Ceci est une pièce de remplacement pour un Tube de découpe en métal AEG M4. NO WARRANTY, EXCHANGES OR RETURNS on CLEARANCE ITEMS. All items are sold AS IS please read the clearance comments carefully before purchasing. Generic photo is used as a placeholder, actual product may slightly differ.